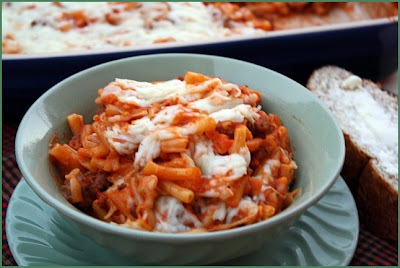 Today I am posting a quick and easy budget friendly meal. Walmart asked me to come up with a tasty low cost meal solution. I recently became a Walmart Mom, so from time to time you will see different Meal Solutions popping up on my site. I'm so excited to have been selected to be part of a pretty awesome group of Walmart Mom Bloggers. If you're not familiar with Walmarts Meal Solutions here is a little bit of a run down. Walmart now makes it easy for you to pick up dinner for you family. Walmart stores nationwide have "Tonight's Menu" displays in the grocery and freezer section of you local Walmart. What does this meal? well now you can pick up everything you need to make a quick easy family pleasing meal. No more running around the store trying to figure out what your going to make for dinner. Walmart makes it that easy by having all the ingredients ready for you to pick up. Every couple weeks Walmart will share featured products in their stores and meal solution that you can make with those specific products. This is where some of the Walmart Moms come into the picture. We will highlight the meal solutions on each of our blogs. We will showcase the products, the cost of each one and then the featured meal solution for you to see. From time to time we will also show you how we put our own spin on a specific meal solution. It's all about showing you how to incorporate cost saving products to make easy family friendly meals. Today's Meal Solution is Poor Mans Lasagna. This dish is just a simplified version of a traditional lasagna. If you're looking for a quick dish that you can have on the table in just about 30 minutes than this is the one. It's not only kid friendly but adult friendly as well. Pair this dish with a salad and hot french bread and you have meal for less than $10. This dish was so easy to throw together. Just prepare the macaroni and cheese according to package directions. Brown and drain the ground beef and add to the prepared macaroni & cheese. Blend in the spaghetti sauce and pour into a greased 9 x 13 inch baking dish. Top with mozzarella cheese cover and bake. It's as easy as that. Preheat oven to 350 degrees. Prepare the macaroni and cheese according to package directions. While the macaroni is cooking, brown and drain the ground beef. 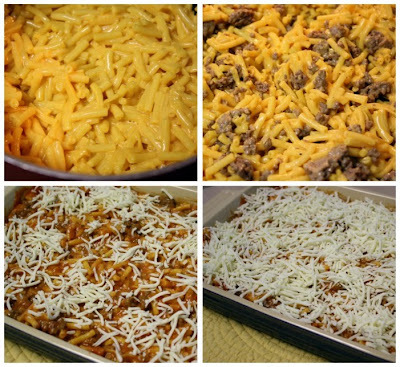 Add the ground beef to the prepared macaroni and cheese. Mix in the spaghetti sauce and add to a greased 9 x 13 inch baking pan. Top with mozzarella cheese. Cover with foil sprayed with baking spray and bake for 25 minutes until heated through and bubbly. Note:Here is another way to assemble the lasagna. Spoon half of the prepared macaroni and cheese into lightly greased 9 x 13 inch square baking dish. Add half of the spaghetti sauce and then the remaining macaroni and cheese. Add the rest of the spaghetti sauce and top with mozzarella cheese. Cover with foil and bake for 25 minutes or until heated through and bubbly. This post is part of a series of making family meals easier with Walmarts Meal Solutions. Participation in this program is voluntary. Walmart has provided me with compensation and a gift card in return for this post. Opinions stated above are entirely my own. For more great Meal Solutions check out my fellow Walmart Moms. Unsubscribing from your RSS feed. I understand sponsored posts, but I don't agree with your sponsor's treatment of female employees. Sorry. I've been making that recipe since I found it several years ago on the Kraft Mac & Cheese website. We love it! Just found your site tonight and I love easy yummy food! Hi Holly, I too am a big Walmart Shopper especially for groceries. I'm so glad that they have the meal solutions because it really helps out at dinner time. This looks like serious comfort food - YUM. My four kids would LOVE this. Wow, I'm going cook this for my Lasanga lover. It's going to be a hit, I can tell! I made this dish tonight!! I loved it and my kids loved it! I will make it again! Thanks so much. I love your site! This looks like a great recipe. I just love lasagna!! Congratulations on becoming a Walmart Mom. This recipe looks nice and easy, which is always a good thing. Thank you so much Lori for your nice comment. I have to agree with you. I am a loyal Walmart shopper and have been. I know I can get more for my dollar as well as low prices for groceries. Every company has their faults and hopefully they will get that issue worked out. People will always have something to say and I understand that, but why do it anonymously? BTW I deleted the comment above this one because it just wasn't very nice. I have locked this post due to all the negative and ugly comments about Walmart.